This page contains a large number of thumbnails, but should load completely in just under one minute. July of 2000, two months into the rainy season. 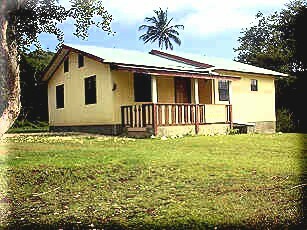 Bogles is the community that served as the temporary host of Windward Bible Church for some five years. Is has a lot of friendly people there. Road on the upper end of Bogles heading east out of village toward the old Windward Bible Church (WBC) location. Heading east on out of the upper end of Bogles past the old Windward Bible Church location. Beausejour is located just north of Hillsborough. It also has an independent Baptist Church there. more picturesque places on Carriacou to me. 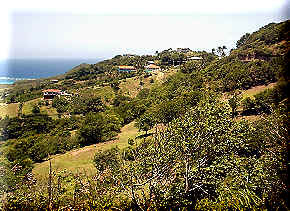 Dover is a nice level area of Carriacou that lies between the Robinsons' home and the village of Windward. 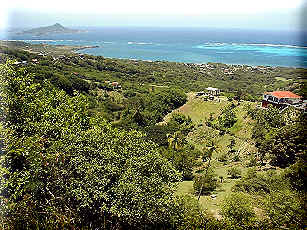 Grand Bay is a nice place where the Robinsons lived for the first ten months on Carriacou. Taken from the lower end of back road going down from Top Hill to Grand Bay (We used to live to the left and to the left just above the lowest point in the road. 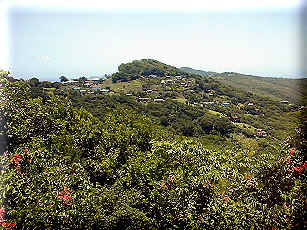 L'Esterre is one of the more densely populated villages on Carriacou. 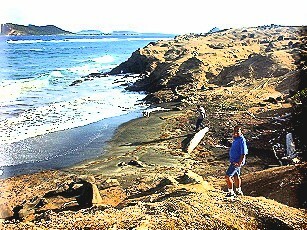 It also has one of the most beautiful shorelines found anywhere. Mt. 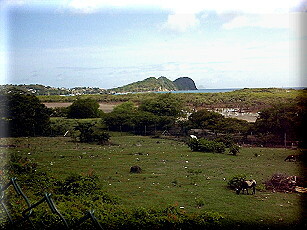 Pleasant is the largest village on the central eastern side of Carriacou. It has been expanding rapidly over the last 10 years with numerous new houses being built. Mt. 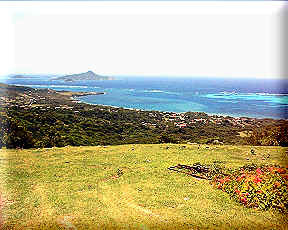 Royal has a beautiful panoramic view of the southern end of Carriacou. On a haze-free day you can see all the way to Grenada to the south, and the Grenadine Islands to the north. 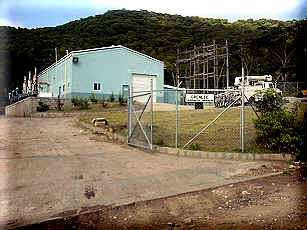 It is also the location for the Grenada Cable and Wireless telephone microwave link to the mainland. 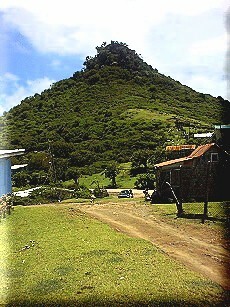 Top Hill, like other villages on Carriacou, is a village inhabited by friendly people. It is also surrounded with beautiful scenic views due to its mountain-top location .